Banana is the common name for an edible fruit produced by several kinds of large herbaceous flowering plants of the genus Musa. The fruit is variable in size, color and firmness, but is usually elongated and curved, with soft flesh rich in starch covered with a rind which may be yellow, purple or red when ripe. The fruits grow in clusters hanging from the top of the plant. 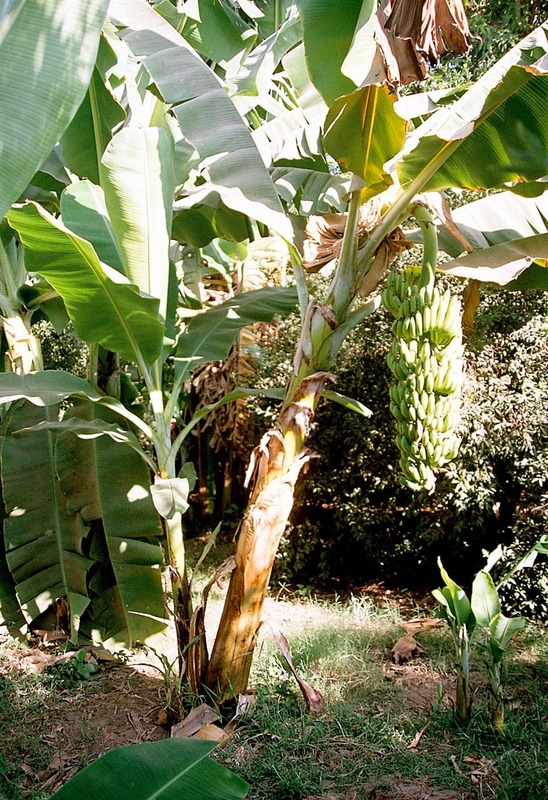 Almost all modern edible parthenocarpic (seedless) bananas come from two wild species – Musa acuminata and Musa balbisiana.